Did you know that October 1st to 7th is National Breastfeeding Week in Ireland? This year, the theme for the week is “Every Breastfeed Makes a Difference.” You can see the new health promotion campaign on Breastfeeding.ie. 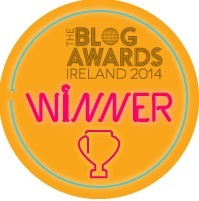 To celebrate the week, the Irish Parenting Bloggers group has organised a blog march. And to celebrate we have a great giveaway from NUK – two electric breast pumps and two manual breast pumps as well as gel cushions.